December 10, 2018 – Ball Aerospace has delivered the Tropospheric Emissions: Monitoring of Pollution (TEMPO) spectrometer to NASA after a successful final acceptance review. Once launched, TEMPO will be a space-based ultraviolet/visible light air quality spectrometer in geostationary orbit over greater North America. The TEMPO instrument will provide hourly daylight measurements of ozone, nitrogen dioxide and other key elements of air pollution across North America, from Mexico City to Canada and from coast-to-coast. 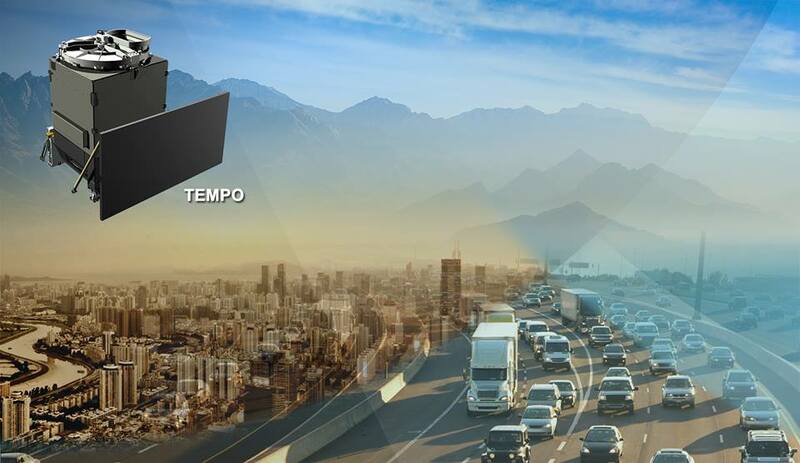 TEMPO’s high resolution will allow pollution tracking at micro urban scales every hour and is expected to improve air quality prediction accuracy by 50 percent. Ball is a part of a team that has extensive experience in measuring the components of air quality. Ball built the TEMPO instrument at the company’s Boulder, Colorado facility in tandem with the Geostationary Environmental Monitoring Spectrometer (GEMS) in order to capture design efficiencies between the two instruments, which share the same technology. GEMS is a joint development effort by Ball and the Korea Aerospace Research Institute (KARI), South Korea, and is part of a global air quality monitoring constellation that includes TEMPO. The TEMPO team includes the Smithsonian Astrophysical Observatory; NASA’s Langley Research Center; NASA’s Goddard Space Flight Center; the U.S. Environmental Protection Agency; and several U.S. universities and research organizations.